Who would desire a persecuting tyrant to rule long? We might as well wish prosperous days to a mangy, rabid dog. If he will do nothing but mischief the shortening of his life will be the lengthening of the world's tranquillity. "Bloody and deceitful men shall not live out half their days." This is bare justice to them, and great mercy to the poor and needy. Think of Mubarak, Hussein, Kim Jong Il, Castro, Khaddafi as recent tyrants. Some were removed violently, some peacefully, and others, through ailing health. And let another take his office. Perhaps a better man may come. At any rate it is time a change were tried. So used were the Jews to look upon these verses as the doom of traitors, of cruel and deceitful minds. Peter, too, saw at once in the speedy death of Judas a fulfilment of this sentence (Acts 1:20). A bad man does not make an office bad; another may use with benefit that which the former perverted to wrong uses. Sin is the great shortener of human life (Rom. 6:23; Heb. 9:27). 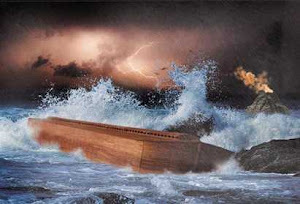 After the flood the whole race lived a shorter time; iniquity shortens life, and some sins have a peculiar power to do this, such as lust, drunkenness, etc. But a proud look, God hates (Prov. 16:5). Different standards (i.e., scales, balances, weights) are an abomination to the LORD (Prov.20:10, 23). In his famous novel “1984,” George Orwell described a nightmarish totalitarian world in which words were redefined – and some banished from use altogether. This language was called newspeak. It was a political novel written with the purpose of warning readers in the West of the dangers of totalitarian government. Having witnessed firsthand the horrific lengths to which totalitarian governments in Spain and Russia would go in order to sustain and increase their power, Orwell designed 1984 to sound the alarm in Western nations still unsure about how to approach the rise of communism. In the 40's and 50's many American intellectuals supported communism, and the state of diplomacy between democratic and communist nations was uncertain. In the American press, the Soviet Union was often portrayed as a great moral experiment. Orwell, however, was deeply disturbed by the widespread cruelties and oppressions he observed in communist countries, and seems to have been particularly concerned by the role of technology in enabling oppressive governments to monitor and control their citizens. China is presently the grand failed experiment that's been repackaged with the bright gift wrapping of global opportunism. Its arms may reach across continents, but its heart is dark and godless as ever. As to the protagonist in 1984, Winston Smith is a low-ranking member of the ruling Party in London, in the nation of Oceania. Everywhere Winston goes, even his own home, the Party watches him through telescreens; everywhere he looks he sees the face of the Party’s seemingly omniscient leader, a figure known only as Big Brother. The Party controls everything in Oceania, even the people’s history and language. Currently, the Party is forcing the implementation of an invented language called Newspeak, which attempts to prevent political rebellion by eliminating all words related to it. Even thinking rebellious thoughts is illegal. Such thought crime is, in fact, the worst of all crimes. Some observations from President Obama's press conference (tagged by LA Times' liberal writer, Andrew Malcolm, "Barack Obama's delivery of no news is quite smooth"): In messages reminiscent of George Orwell's "1984" or "Brave New World," Obama tried to convince us that he'll cut the deficit by growing the deficit, he'll get entitlement programs under control by enrolling more dependents, and he'll grow America's private sector of the economy by increasing the size, budget, and reach of the federal government to historically unprecedented levels. What's next? Proclaiming that "Freedom is slavery," "War is peace" or "Poverty is wealth"? Think about the drones buzzing about our Nation (Click Here and Here) and monitoring our every move. Think about the The National Defense Authorization Act [NDAA], which was signed into law on December 31, 2011, greatly expands the power and scope of the federal government to fight the War on Terror, including codifying into law the indefinite detention of terrorism suspects without trial. Under the new law the US military has the power to carry out domestic anti-terrorism operations on US soil. Even worse, the NDAA authorizes the military to detain even US citizens under the broad new anti-terrorism provisions provided in the bill, once again without trial. Don't believe it? Click here for more information. Think about Obama taking control of the internet in case of national crisis. On July 6, 2012, the president signed the executive order — “Assignment of National Security and Emergency Preparedness Communications Functions” — which gives him the power to seize the internet. Essentially, it says the government can take control of private telecommunications technology, presumably including those used for the Internet, for government communications in an emergency. Under the Executive Order the White House has granted the Department of Homeland Security the authority to seize private facilities when necessary, effectively shutting down or limiting civilian communications. Again, having a hard time believing what you're reading? Click here. Now, I'm no conspiracy theorist. The news articles I cite are not from a fringe right-wing or left-wing blog or crazy rag like Mother Jones. These are mainstream news outlets, Friend. Connect the dots and come to whatever conclusion you want to. Know this, that if you're looking to a man or group of men to solve your problems then you're in for a real surprise. Neither Romney nor Obama know the future and its winding, unpredictable curves. Only God knows what's best for us. It is to Him that we need to turn to in times of distress (John 14:6). I'm no alarmist either. So, this isn't the time to panic; it's time to pray (I Thess. 5:17). Indeed, Psalm 121:1-2 states, "I will lift up mine eyes unto the hills, from whence cometh my help. My help cometh from the Lord, which made heaven and earth." Looking, that is, to the hills of Moriah and Zion and the holy hill of God. Therefore, I will not worry nor lose sleep. The LORD keeps me in His mighty hand (Rom. 8:35-39). Jesus Christ is my Rock! Let me make one thing clear. Well, a few things clear. 1. I'm aware of how Psalm 109, verse 9 continues: "Let his children be fatherless, and his wife a widow." Make no mistake, I am not wishing ill on the president. Even though the psalmist's sentiment is an extreme one, think of the context of why he writes this way: The leader has led the people astray; the ruler of the nation has forgotten God; the prince of the people has forsaken the Law and instead chosen to rely and lean on his own understanding. There is nothing so bitter than to abandon God's wonderful precepts. It is truly a sickening thought to consider. 2. God gives people, including Mr. Obama, time to repent. In II Peter 3:9, the apostle writes, "The Lord is not slack concerning his promise, as some men count slackness; but is longsuffering to us-ward, not willing that any should perish, but that all should come to repentance." Thus, there is a time to humble oneself before the great and living God; that time is now. There is a way to seek God's forgiveness and it is through His only Son Jesus Christ (Acts 4:12). What Good News, indeed! There is only one way to salvation, but it is tried and true. God's Word promises it to you and me and everyone else. 3. Unfortunately, there are those who believe that there is no God (Ps. 14:1; 53:1) or that there are many other ways to salvation but this is not so (I Jn. 4:9, 14-15). Those who refuse the salvation that Christ offers will be judged at the Great White Throne (Rev. 20:11-15). Any leader or any person "great and small" who are not saved will find themselves standing before God at the Great White Throne. Afterwards, they will be hurled into the Lake of Fire where they will burn forever and ever. What a tragic mistake to reject the love of Jesus! Don't be one of them. Don't be a fool. Exercise good judgment and ask God to forgive you. He is ready to forgive you. All you have to do is humble yourself and ask for mercy. According to the Holy Bible, you shall receive forgiveness.